Instead of a self presentation lecture, we held a brief introduction in a Huey, Dewey and Louie kind of way, and focused on establishing a Tegneklubben setting with the students. Within a couple of hours session, where students as well as Tegneklubben were bringing forward different topics on which to draw, we had gone through a lot of good themes and had a nice pile of drawings. Now the (theoretical) question was who’s property were these drawings? It is one of the core rules of Tegneklubben that everything we make in the sessions, stays in the club. It was obvious that this rule also applied here. 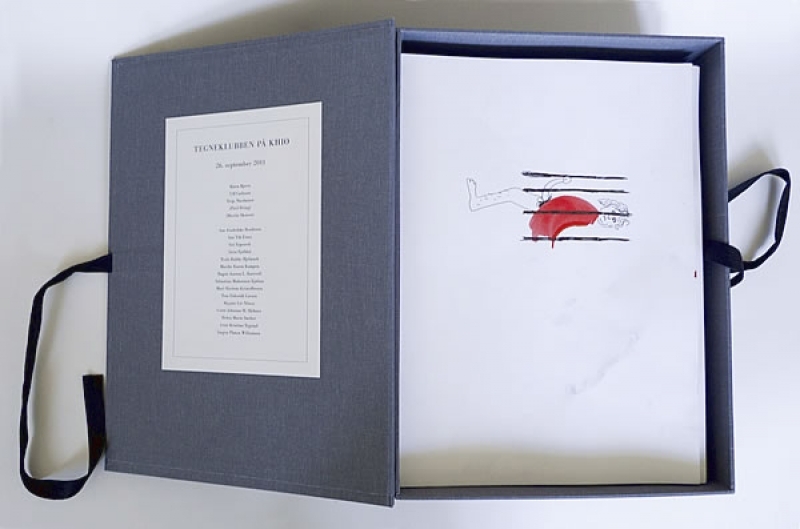 To make it fair, we came up with the idea to collect the drawings in a book or specially designed box and to let this object be in the collection of the Academy’s library. 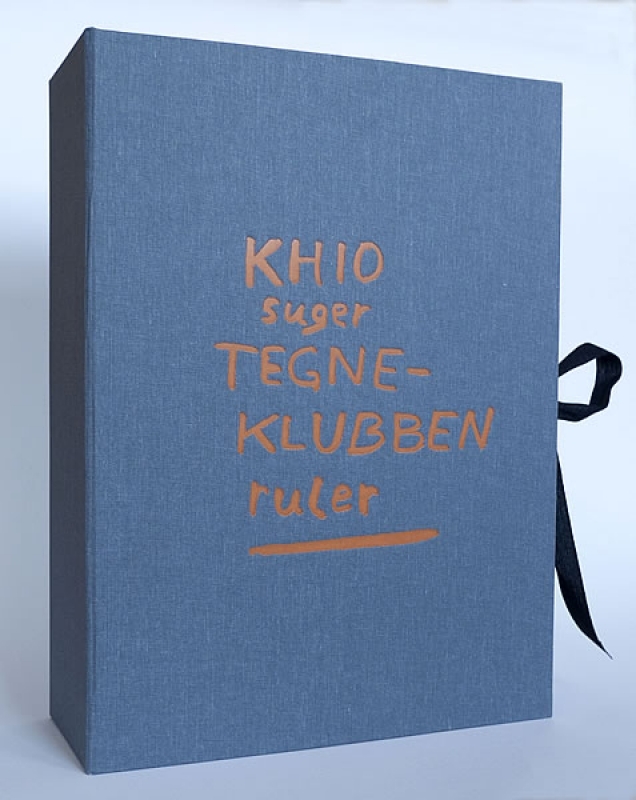 Although it can be displayed and used within the National Academy of Art, Tegneklubben retain the rights to the actual artwork and can use the presentation box and its contents for exhibition purposes and other research as it sees fit.